This is my go-to breakfast smoothie almost every day. It’s full of goodness and absolutely delicious. It’s so important to have breakfast but sometimes it’s hard to eat a big meal early in the morning, especially if you workout early. This smoothie is perfect pre-workout fuel – light enough to make sure you don’t feel sick but satisfying enough to keep you going. It’s great to grab on the go too. The protein powder keeps you full and the L-glutamine is great for muscle recovery. 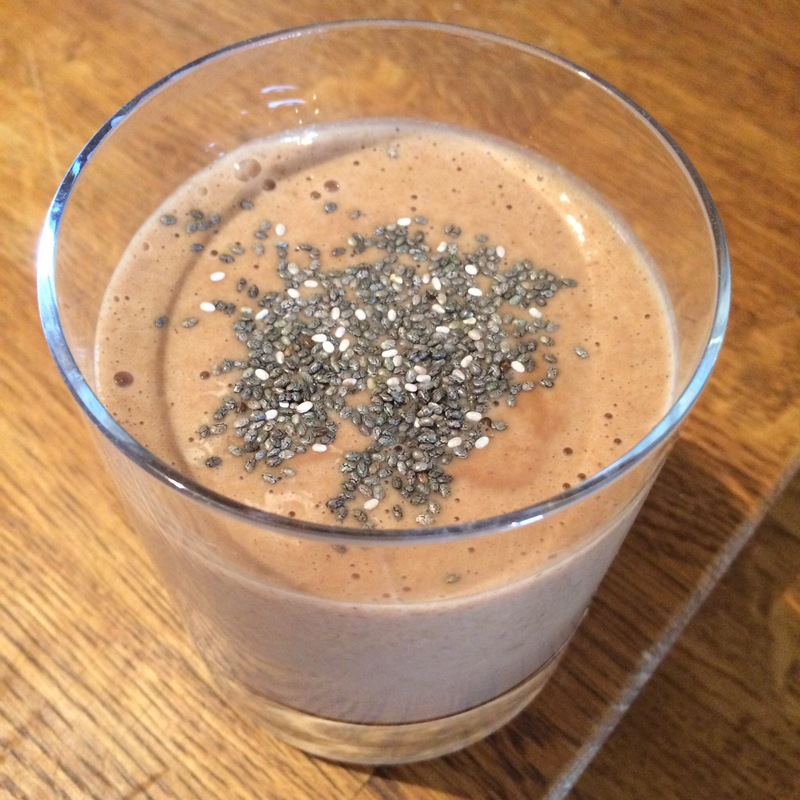 You can change things around with this – use different nut butters if you like, add other bits and bobs eg frozen berries, guarana, chilli powder, chia seeds etc but this is my favourite base. This mixture usually makes 2 – 3 shakes and it’s fine in the fridge for a few days. Put all the ingredients in to a blender and blend until smooth. Pour into glasses and sprinkle the chia seeds over or pour into protein shakers and pop in the fridge if not drinking immediately. Enjoy!